The oxygen tank holder/bag for wheelchairs/walker is an economical alternative to steel tank holders. 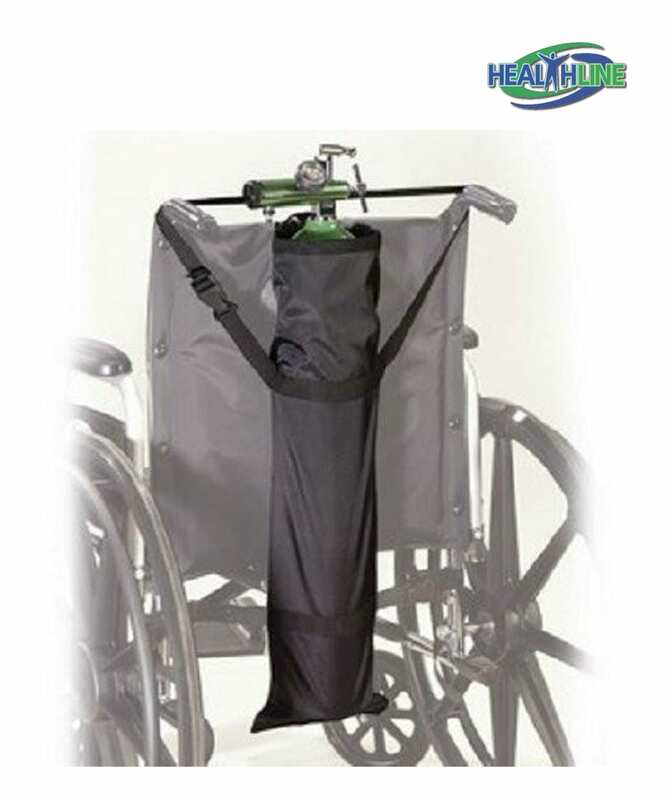 This oxygen tank holder (a bag) for a wheelchair or a walker is both: an economical and much more ergonomic alternative to a steel oxygen cylinder holders, a real safety aids for the elderly. Without the burden and heavy weight of a steel oxygen tank rack, this nylon sleeve meets every criterion for its intended purpose: fits most oxygen cylinders, practical, extremely lightweight, prevents the weighty cylinder from interfering with head or shoulders of the patient. This rugged nylon oxygen tank bag is structured to position the cylinder off-center and fits D and E tanks perfectly. This way it prevents the oxygen tank from wobbling. Heavy duty waterproof nylon material is a practical solution for a bag this kind: does not dirty easily, washes well, does not shrink. An adjustable durable strap provides an easy fitting to a wheelchair of any type or size. A snap-type clasp makes fixing this oxygen cylinder sleeve swift and fuss-free.